Jachs NY blends classic and modern looks using custom fabrics and designs to make the perfect daily essentials. Use promo code DEADSPIN60 to take 60% off all comfortable, lightweight linen shirts and bring Jachs into your daily routine this summer. The linen shirts collection is entirely made from 100% linen, featuring both chambray and cotton styles ideal for a well-rounded closet. If you’re already stocked on linens, check out Jachs’ other summer collections which has everything you need to stay cool, including short sleeve button downs, swim trunks, t-shirts, shorts, and more. 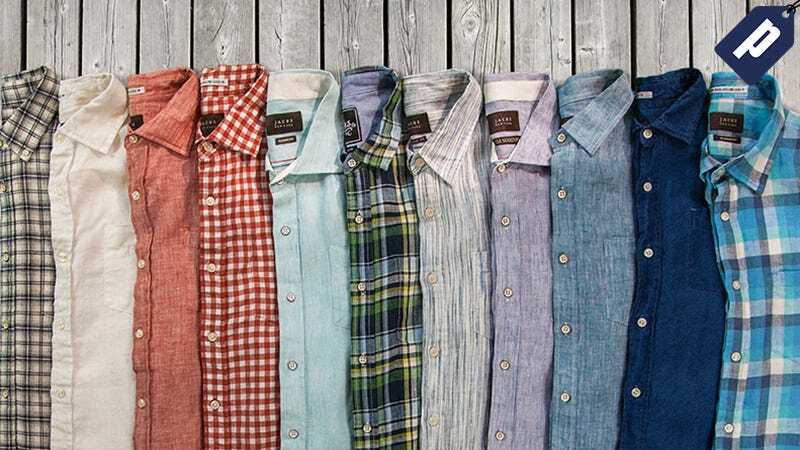 Use promo code DEADSPIN60 at the linen shirts page and get 60% off any shirt.